The Council on Economic Priorities puts out an annual entitled "Shopping for a Better World" in which they evaluate companies according to their social and environmental track records, in order to encourage consumers to vote with their dollar against corporate irresponsibility and corruption. These are their 13 X-rated companies with an abridged explanation of their crimes and products. AMERICAN CYANAMID: Third largest emitter of toxic waste in 1989 • Exports mercury waste to South African company with poor disposal record. Products: Centrum vitamins, Thrive, Heritage, New Image Shampoos, Night Spice After Shave. ARCHER DANIELS MIDLAND: Major air pollution violations in Iowa and Minnesota. Products: Flour, Lean N'Crisp Bacon, Russo & Gooch Foods, pasta. BAYER USA INC: 110 pesticide export violations • They are researching genetically engineered pesticide-resistant plants which, if successful, would encourage more pesticide application and increase profits for Bayer, not farmers • Are not seeking alternatives to animal testing. 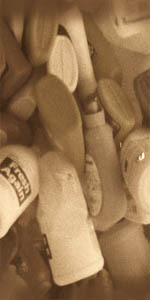 Products: Alka-Seltzer, Bactine, Cutter insect spray, Flintstones and One-A-Day vitamins, S.O.S. scouring pads. CHEVRON CORPORATION: Implicated in 170 Superfund sites • Charged with 880 Clean Water Act violations • Ranked 55th in military contracts. Products: Chevron gasoline, car supplies. CANAGRA: Cited for threatening worker safety and public health in food processing plants • Supporters of legislation to increase the speed of food processing, even at the risk of Jeopardizing food safety inspection. Products: Armor Bacon, Butterball chicken, Hunts catsup, Orville Redenbacher's popcorn, Wesson oil. Products: G.E. & Miser light bulbs, Magicube Flash bulbs, G.E. appliances. KIMBERLY-CLARK CORPORATION: Has $8.3 million in assets in South Africa •Continues to test on animals with no investment in alternatives • One of the largest makers of disposable diapers, yet lobbied against a one-cent tax on these products Which contribute significantly to our solid waste crisis. Products: Clout paper towels, Huggies disposable diapers, Kleenex tissue, Kotex, Softique. Products: Mobil gasoline, auto supplies, Baggie sandwich bags, Hefty trash bags. PERDUE FARMS INC.: Cited for its maltreatment of its employees, animals, and the environment. • Workers have been routinely fired after developing debilitating workplace injuries • Chickens often have less than one square foot to move-Fined by the state of Virginia for water pollution. Products: Perdue packaged poultry products. PFIZER INC: Investments in South Africa • No women among its top corporate officers • Cited for misleading advertising • Subsidiary company manufactures prosthetic heart valves alleged to be faulty and responsible for 252 deaths. Products: Barbasol shaving cream, Ben Gay, Musk for Men, Stetson cologne, Unisom sleeping aid, Visine eye drops. Military fuel contracts • Worker safety citations. Products: Texaco Gasoline, auto supplies. TYSON FOODS, INC.; In 1989, cut workers wages and refused to recognize the Teamsters as workers' legal representatives • Cited as having a food production line too high speed to allow for adequate food safety inspection. Products: Tyson frozen dinners. Holly Farms chicken, Tasty Bird, Weaver Lunch Meats, frozen poultry dishes. USX CORPORATION: Highly discriminatory hiring policy: no minorities or women on its board of directors •Cited for discrimination against black job-seekers • Potentially responsible for 47 Superfund sites •Worker safety violations and plant closings. Products: USX and Marathon gasoline, auto supplies.